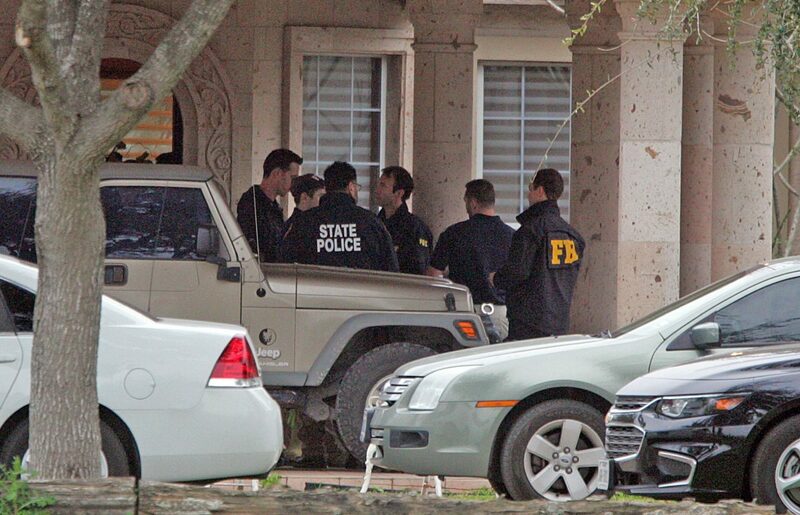 Federal agents are seen Friday afternoon outside an Edinburg property belonging to Judge Rudy Delgado. Law enforcement activity involving the FBI, DPS and Texas Rangers was confirmed that afternoon, and included Delgado's 93rd state District Court. 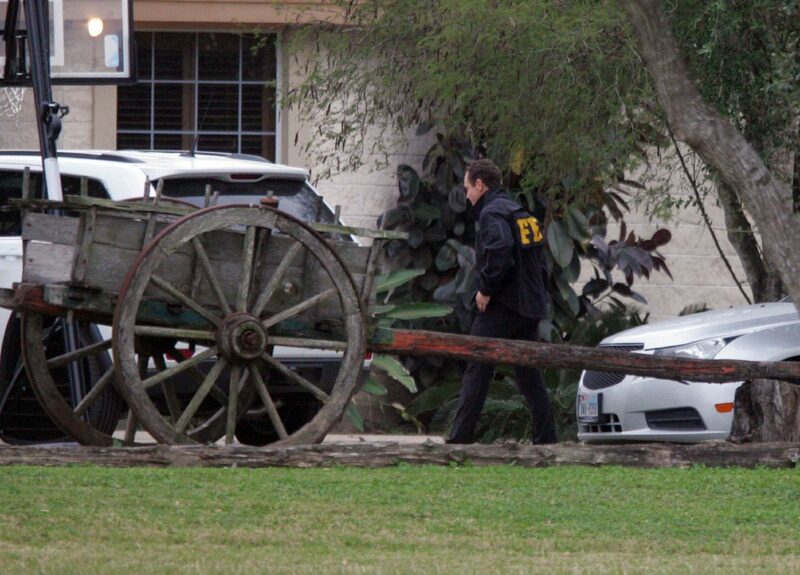 EDINBURG — FBI agents descended on the 93rd state District Court Friday afternoon, according to court staff speaking on a condition of anonymity. FBI spokeswoman Michelle Lee said agents were conducting law enforcement activities in the courthouse. Judge Rudy Delgado, who presides over the 93rd state District Court, is currently running for the 13th Court of Appeals. Lee confirmed an arrest has been made but would not divulge the individual’s identity until Monday. However, attorney Adolfo “Al” Alvarez, who said he will be representing Delgado, insinuated that the judge has been arrested. Federal agents on Friday afternoon walk the premises of an Edinburg property that reportedly belongs to Judge Rudy Delgado. Law enforcement activity involving the FBI, DPS and Texas Rangers was confirmed that afternoon and included Delgado's 93rd state District Court. 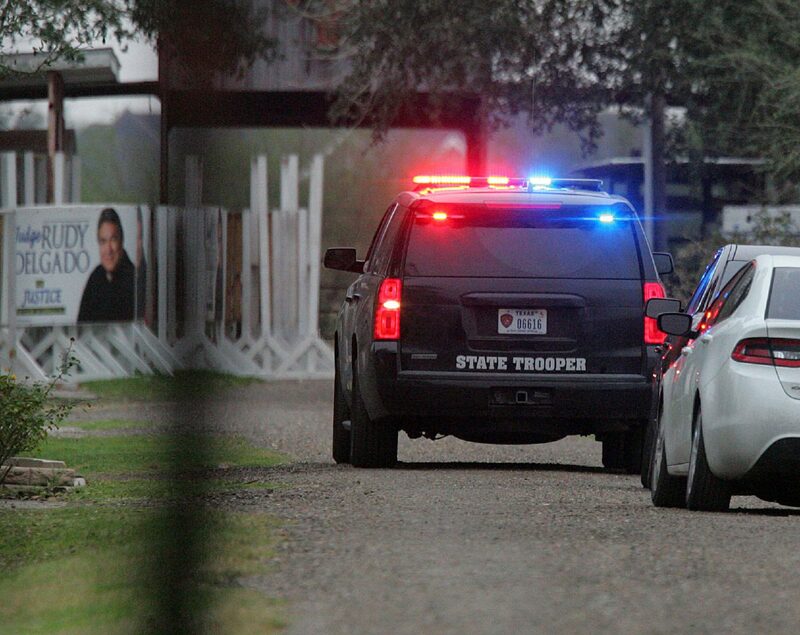 A DPS state trooper's unit is seen Friday outside an Edinburg property that belongs to Judge Rudy Delgado. Law enforcement activity involving the FBI, DPS and Texas Rangers was confirmed that afternoon, as well as inside Delgado's 93rd state District Court. 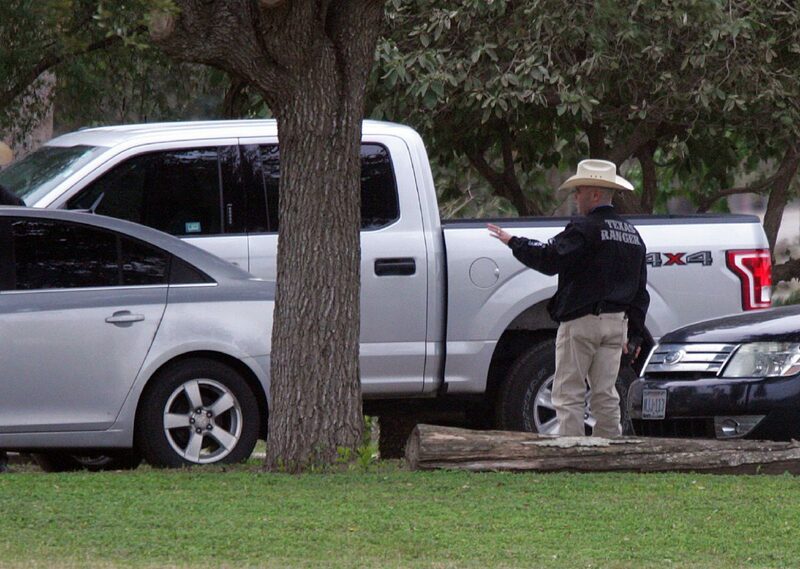 Federal authorities are seen outside an Edinburg property that belongs to Judge Rudy Delgado. Law enforcement activity involving the FBI, DPS and Texas Rangers was confirmed there and included Delgado's 93rd state District Court. 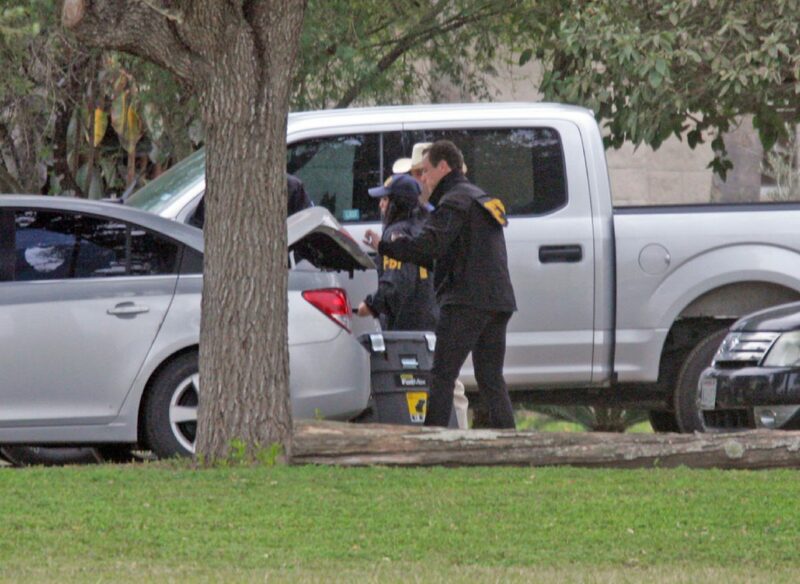 Texas Rangers joined the FBI and state troopers Friday in conducting "law enforcement activity" outside an Edinburg property that belongs to Judge Rudy Delgado. Activity was also confirmed that afternoon inside Delgado's 93rd state District Court. 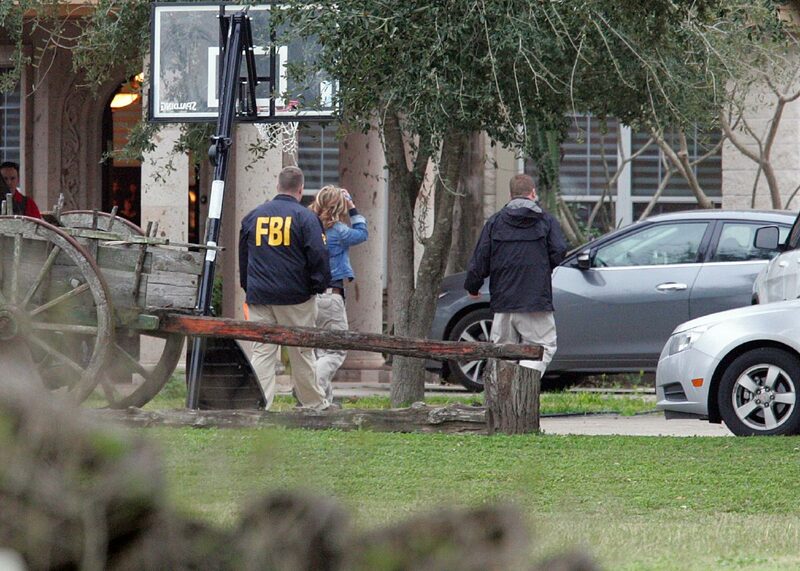 An FBI agent on Friday afternoon walks the premises of an Edinburg property that belongs to Judge Rudy Delgado. Law enforcement activity involving the FBI, DPS and Texas Rangers was confirmed that afternoon, as well as in Delgado's 93rd state District Court. “Well, I think that’s pretty obvious,” Alvarez said when asked if Delgado had been arrested. Sources with knowledge of the matter say that the activity has extended to an Edinburg property owned by the judge. The appraised value of the property in question is more than $734,000, according to the Hidalgo County Appraisal District. District Attorney Ricardo Rodriguez said he was unaware of the FBI’s presence at the courthouse. Several court staff members who spoke to The Monitor under anonymity said they witnessed FBI officials at the courthouse Friday afternoon. Lt. Johnny Hernandez of the Texas Department of Public Safety confirmed DPS is assisting in the matter. Texas Rangers were also seen at the property. Delgado has had a problematic career since he was elected in 2001. In 2002, he nearly lost his job following a DWI arrest in Edinburg. In 2005, the charges were dropped, but Delgado was re-indicted on evading arrest and misuse of information charges later that year. He’s also had his share of tragedies during his tenure. In February 2017, Delgado’s son, former Hidalgo County assistant district attorney Ricco Diaman Delgado, was found dead in an Austin creek. Before his death, the judge’s son had several run-ins with law enforcement as well. In 2007, another one of Delgado’s sons, Roman David Delgado, died in a car crash in McAllen when he was 16 years old. Check back later for details on this developing story.